Our preschool room is a purpose built open space for up to twenty children, encompassing the entire downstairs floor of the nursery. Each day we provide opportunities for self-directed learning and exploring, with children able to enjoy free flow access to toys and equipment that has been carefully planned to cover the areas of development within the Early Years Foundation Stage (EYFS) framework. A key person is on hand to extend each child’s learning, with daily adult-led activities such as baking or growing fruit and vegetables. Children are encouraged to self-register by finding and placing their name card or writing their own names on the registration board. 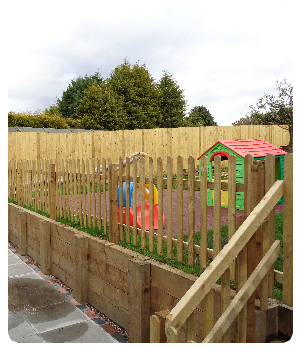 They are also able to benefit from our investment in an extensive outdoor play area. Tip Top Day Nursery uses the Letters and Sounds phonics programme for reading and spelling. 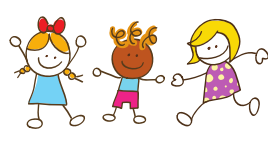 However, if the Primary School your child will be attending uses another system – such as Ruth Miskin – we can liaise with that school so that your child follows the specific scheme they will experience when moving to school.